Sharing a conversation with Zachary Scott grants one with an occasion to explore the passion for his vocation that he has honed since adolescence and the enthusiasm for true connections that has motivated his 35-year existence. Having helped to open four restaurants, he reveled Jan.4 when marking the beginning of business at The Living Room Cafe, 701–03 S. Fifth St. Along with wife Pauline, who dubs herself the head coffee bean butler, and business partner Jeff Giangiulio, the Art Institute of Philadelphia alumnus has succeeded in offering a locally sourced progressive menu with roots in his childhood, during which, for a time, his mother essentially ran a restaurant in their home. That method of meaningful execution comes through not only thanks to the menu’s set items, which are available for those with catering needs, as well, but also the very generous possibilities that the do-it-yourself add-ons provide. 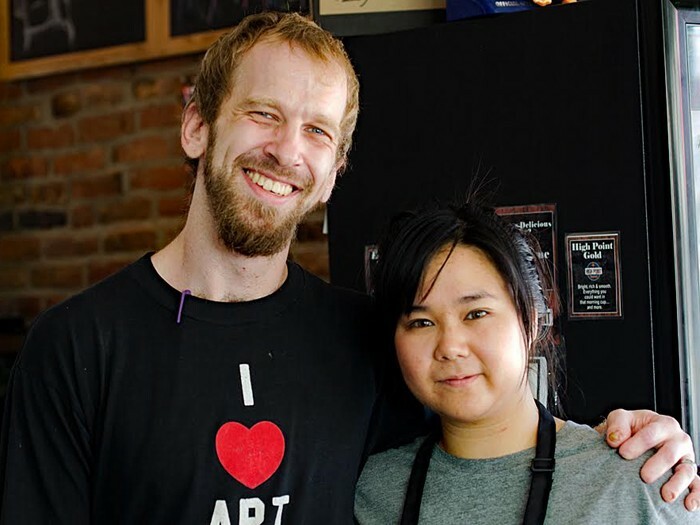 Those components have proven a hit for the cafe over its nearly eight-month existence yet are not alone in making Scott and his bride a potent pair. 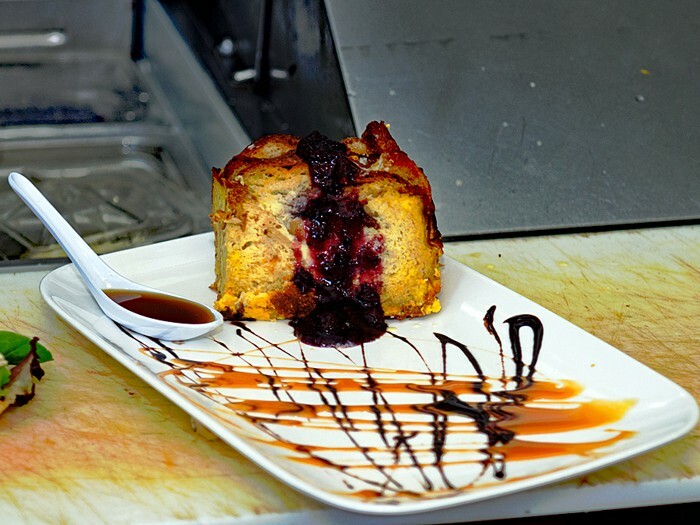 When patrons peruse the cafe’s creations, they will find that Scott holds allegiance to The Preston & Steve show, and it is that affinity for the radio program that led him to share the recipe for The Preston. Spray the bottom of a deep, half hotel pan or an aluminum half tray that is at least four to six inches deep with nonstick spray. Cut the loaf of bread in half. Take one slice of bread, lay it flat, and cut it on a bias (This means diagonal but not corner to corner, just like one would do when cutting a grilled cheese sandwich). Make the whole loaf like that. Take two bottom halves of bread, and stand them up in the pan against the back side. Take two top pieces, and stand against first two pieces, and repeat until all pieces are standing snug, two by two, until the pan is full of standing pieces all shingled nice and neatly.